Ocala, FL (February 17, 2017): The FEI Nations Cup™ Jumping CSIO4* week kicked off on Thursday with two featured FEI classes, the $41,200 Thursday Prix and the $5,000 Johnson Horse Transport Welcome Stake. 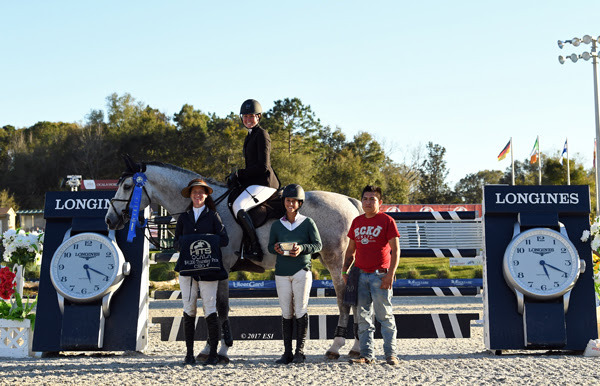 Riders and horses from around the globe all converged at HITS Post Time Farm in Ocala, Florida, to celebrate and compete in this very special week. It is all leading up to the main event, the $100,000 FEI Nations Cup™ on Friday, February 17 at 2pm. Fifty-five horses and riders contested the course, designed by Marina Azevedo of Brazil. Hunter Holloway stole away with the win in Thursday’s class in an exhilarating eight-horse jump-off, where speed, power, agility and precision, all came into play. First to return to test the abbreviated course was Mexico’s Eugenio Garza Perez piloting Bariano, owned by David and Monica Garza. They started the course out strong, but one unfortunate rail would ultimately put them in the fourth-place spot with a round in 37.61. 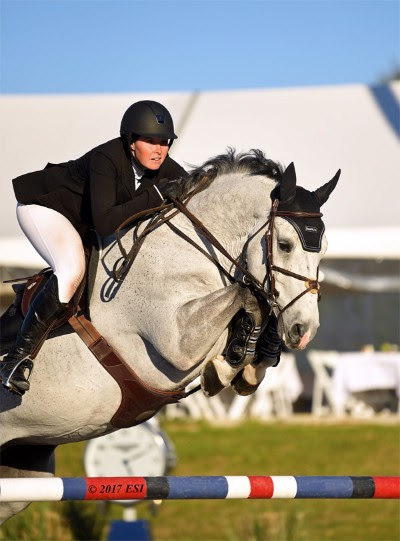 Following Perez was Canadian Isabelle Lapierre riding Cesha M. Lapierre and her powerful mare won the $50,000 HITS Grand Prix just last Sunday at HITS Ocala, and they returned to the Grand Prix Ring to once again claim a spot among the top contenders. They put in the first clear round of the jump-off in 40.75, which would eventually give them the third-place prize. The victors, Hunter Holloway and VDL Bravo S, owned by Hays Investment Corp, were next to enter the ring. The mighty ten-year-old grey gelding was agile and quick under Holloway’s lead. The crowd cheered as they galloped to the finish, stopping the clock in 39.46, where the lead would remain. Lisa Goldman, a veteran to the Grand Prix ribbons at HITS Ocala came in with Centurion B, and they would ultimately pick up four faults for sixth. Two-time World Cup winner and Olympic silver-medalist, Ian Millar, entered next riding Dixson, owned by Susan and Ariel Grange. They laid down a brilliantly smooth round, nearly catching Holloway with their time of 39.78. They would settle for the red ribbon in second place when the class was finished. 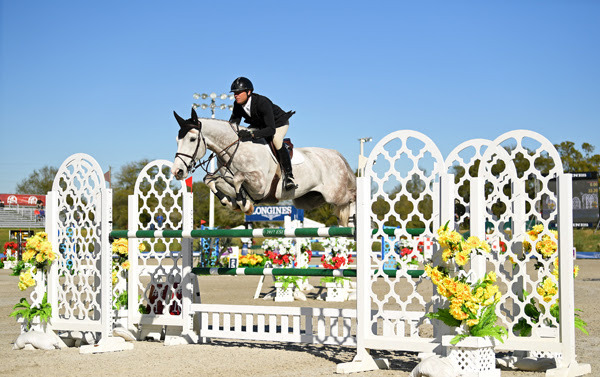 Devin Ryan was the second-to-last to challenge the jump-off course riding Cooper. They laid down a lightning-fast round in 38.64, but a heart-breaking rail at the final fence would give them the final spot in the top five for fifth-place. Devin Ryan and Eddie Blue. PC: ESI Photography. Devin Ryan took home the win in Thursday’s Johnson Horse Transportation Welcome with Eddie Blue, owned by LL Show Jumpers, LLC. Eighteen would produce clear rounds out of a field of 44 in a race against the clock. It was a speedy and challenging class, with the top exhibitors finishing within just tenths of a second, and seconds of each other. Ryan’s fault-free time of 54.12 held up after testing the course second in the order. Second place would belong to Lisa Goldman and Sovereign, owned by Barbara Disko. They punched their ticket into the top five with a 54.45-second round. Lauren Hough, who will ride for Team USA in the Nations Cup today rode Joblesse, co-owned by Patrick de Roeck, to the third place prize. Their time of 55.04 with no penalties in sight sealed their spot after challenging the course fourteenth in the order of go. The final contenders in the top five were Paris Sellon riding Quantis, owned by Willow Grace Farms. They nearly caught Hough’s time with their own round in 55.61, settling them in fourth. Rounding out the top five was Andrew Bourns of Ireland, who will compete in the Nations Cup for Team Ireland. He rode Charming Girl, owned by Deirdre Bourns to the fifth-place finish in 57.57.